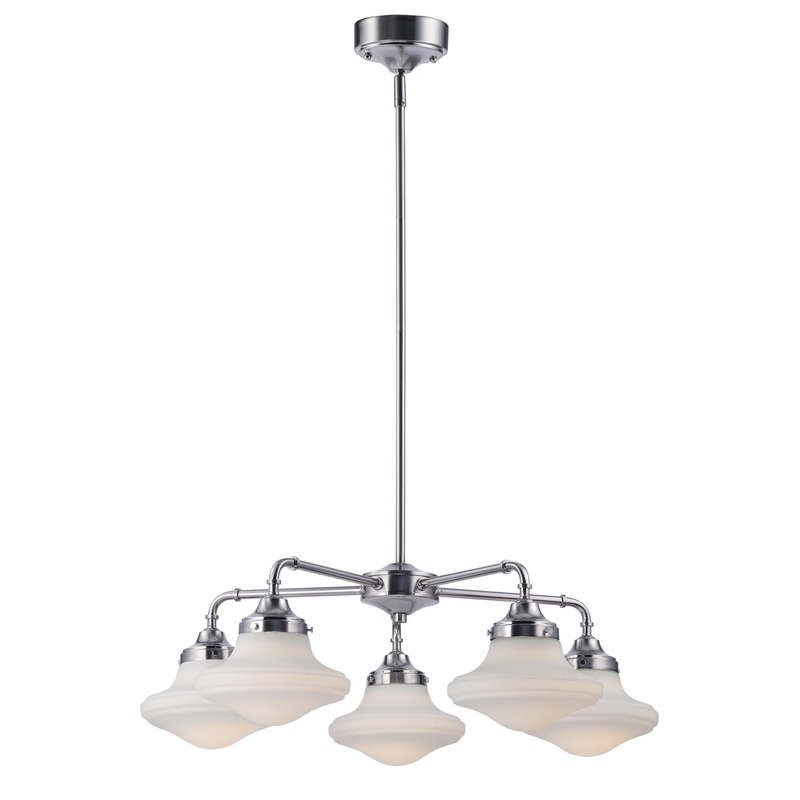 Maxim Lighting New School Collection 5-Light down light chandelier in satin nickel finish, features steel construction. This chandelier uses five 33-Watt 90 CRI 2600-Lumens 3000K PCB LED lamps that have voltage rating of 120-Volts. It measures 28-Inch x 28-Inch x 9.5-Inch.